“Sir/Madam, please give us some suggestion for our next day’s exam”- this dialogue is very common among most of the students in the schools and colleges. Many teachers also keep the promise which they have made with their students that they would mark the important questions before the exam. Now a question may arise in our mind that whether it is the only duty of a teacher to give suggestion and mark important questions before the exam. It must be remembered that teachers are present only to give appropriate guideline for the betterment of the students. Teachers can play a significant role not only in case of providing necessary guidelines for the students to make a good result but also in case of building up an enlightened society. The word ‘teacher’ itself makes the sense more clear. From the meaning of the word ‘teacher’ it becomes clear that the key role of the teacher is to teach and give advice. Now question is what will they teach and what kind of advice they will preach. It cannot be an easily acceptable issue that a teacher will only teach the students which topics are important for the exam. Previously it has been mentioned that the role of the teacher is inevitable in constructing an enlightened society. Moreover, it must be kept in mind that for the construction of an enlightened society it is not sufficient that the teacher need to be well educated and has achieved all his required degrees but it is also an important point that the teacher must also be an enlightened person. He should be a man of good morality, intelligence and wisdom. During the moment in an educational institution students have to spend their most of the time with their teacher either in the classroom or in the teachers’ room particularly at the time of taking help regarding the course. Because of having a touch with the students for a long moment teachers can easily create influence upon his students. So, if the teacher is an honest person it will be possible for the students to learn how to be honest. 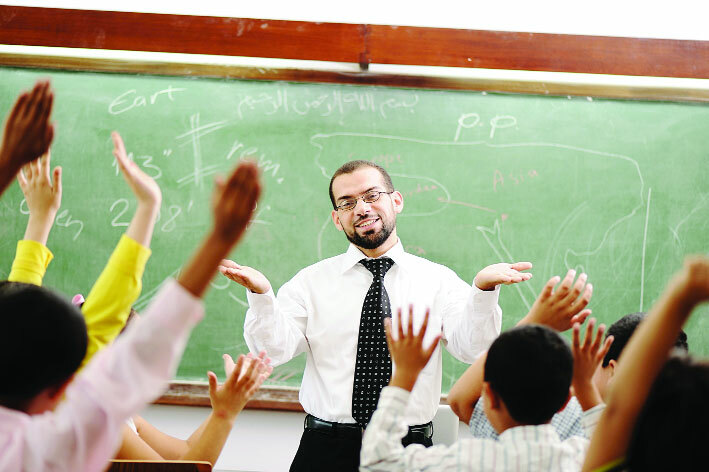 Moreover, a teacher should also have the quality to catch the concentration of all the students through their technique of preaching their message. If the teacher acquires a stable speaking skill and a loud voice it will be easier for him to achieve that quality and it will help him a lot to convey his message properly. His lectures should be a source of proper knowledge and his skill should make a proper reflection of his wisdom if it is the teacher’s dream to build up an enlightened community.